Cosmetic Dentistry in Lake Zurich | Diamond Dental Service " "
While a healthy smile is also beautiful in most cases, imperfections and inherited traits can interfere with your aesthetics. If you are not satisfied with the beauty of your smile, Diamond Dental Service offers a wide variety of cosmetic dental solutions that improve your confidence. Whether you need to brighten your smile in time for a big event, or would like restorations for undersized or permanently stained teeth, Dr. Alma Lombardo finds the solution that works best for you. We offer take-home teeth whitening options which allow you to incorporate whitening treatment into your daily routine at your leisure. This solution is ideal for patients who smoke or regularly consume dark beverages, such as coffee or red wine. For patients with light discoloration and minor damage, Dr. Lombardo offers composite bonding which can help conceal imperfections. 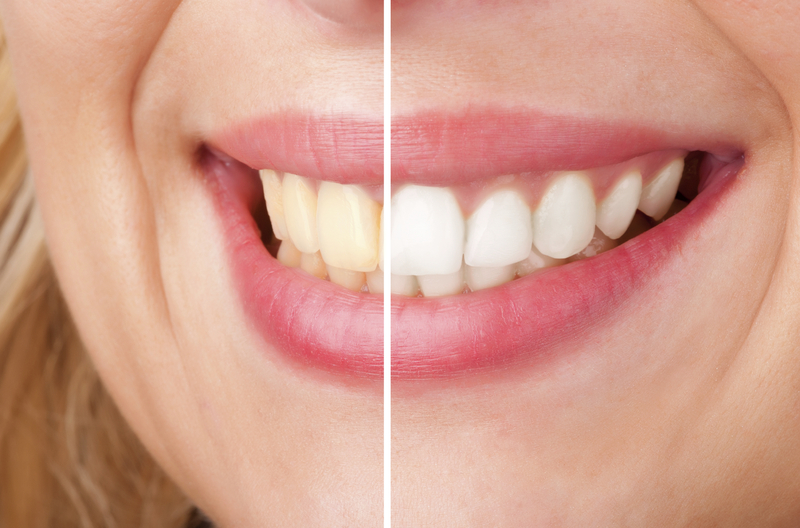 Our dental veneers, however, are more durable and offer long-lasting results. Porcelain veneers are ideal for those with permanent dental stains, undersized and misshapen teeth, slightly overcrowded teeth, or gaps in their smiles. They enhance your appearance without orthodontics or other extensive procedures. Dr. Lombardo also offers Lumineers®, a type of veneer that requires less preparation while still offering renewed appearance. These thin layers of porcelain are applied directly to prepared teeth and are built to last. Lumineers also featured the added benefit of immediately transformed smiles; you will not need temporaries as they are crafted. While many cosmetic solutions are intended to improve your appearance only, most restorative options feature aesthetic benefits as well. If you are missing teeth, or have severely damaged teeth, there a number of solutions that not only allow you to function normally but keep you smiling with confidence. We offer quality crowns, bridges, and dentures, crafted with your smile and health in mind by a trusted local lab. At Diamond Dental Service, we also restore dental implants. Our prosthetics, which are fabricated from high-quality materials, are designed to resemble healthy tooth enamel while providing the reliable strength of natural teeth. Whether you need to replace one tooth with a single crown, multiple teeth with a dental bridge, or an entire arch with dentures, our implant-supported restorations improve both the health and function of your smile. Dr. Lombardo also offers Invisalign® clear braces for patients with developing smiles or alignment issues. This alternative to traditional braces provides patients with orthodontic correction without the obtrusiveness of metal wires and brackets. Teens and adults alike can benefit from these clear braces, which will produce your ideal smile as long as you stick with a solid routine. For patients who require extensive treatment plan, Dr. Lombardo outlines a strategy that includes a variety of cosmetic measures. The ultimate goal is your satisfaction; if you are not happy with your smile, it can be difficult to keep a positive outlook. Our cosmetic and restorative measures help you regain confidence and live comfortably in your own skin. Along with topical cosmetic treatment, we also offer BOTOX therapy in Lake Zurich. This treatment smooths away troublesome wrinkles that distract from your otherwise youthful appearance. BOTOX is also recommended for patients experiencing the painful symptoms of temporomandibular joint dysfunction, or TMD. Fortunately, BOTOX provides relief by relaxing tight muscles and allows you to bite and chew normally. Dr. Alma Lombardo and her team at Diamond Dental Service believe you deserve a healthy, beautiful smile. Whether you need to replace amalgam fillings with the tooth-colored variety or would like to brighten your smile before a wedding, our cosmetic solutions are designed with your full satisfaction in mind. Call our office in Lake Zurich today to schedule a consultation!